History – Read books about explorers. We’ve found so many good ones at our local library. 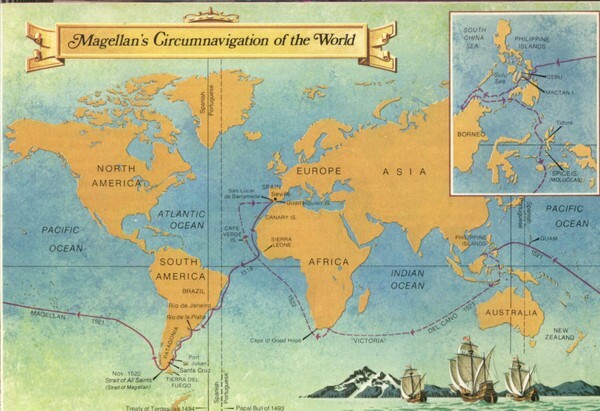 Maybe even map out the routes of these explorers on one map: Dias, Amerigo Vespucci, Balboa, Magellan, and Coronado. English – Watch this simple video with a catchy song about the reflexive pronouns. Latin – Copy and recite the Latin endings. Science – Over the next five weeks, we’ll work on our paper mache solar system. We are focusing on creating planets, but will take the time to review all of our memory work in the process. Math – Review the 14s using the make-your-own skip counting mazes. Geography – This simple grab bag game has been a hit in our home, so we’ll play it again this week. I can’t believe we’re at week 8 and a third of the way through this cycle already. Can you? What have you learned about your family and what works for you in these first eight weeks? I’d love to hear! Thanks so much for the encouragement, Ruthy! I could not agree with you more about learning as an adult!